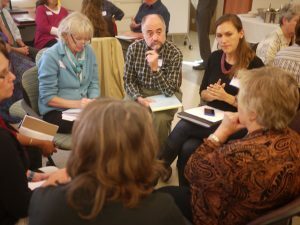 ESL practitioners and service providers working with adult English language learners meet several times a year to discuss best practices, learn about changes in the policy landscape and reconnect. You are invited to come to one of our meetings. If you are a school, employer or other institution looking for a partner to work with, ALLIES can help connect you to other stakeholders. Use the form below to let us know you are interested in becoming a partner.